This Bee's Wrap Single Sandwich Wrap measures 13 inches square (33cm square). 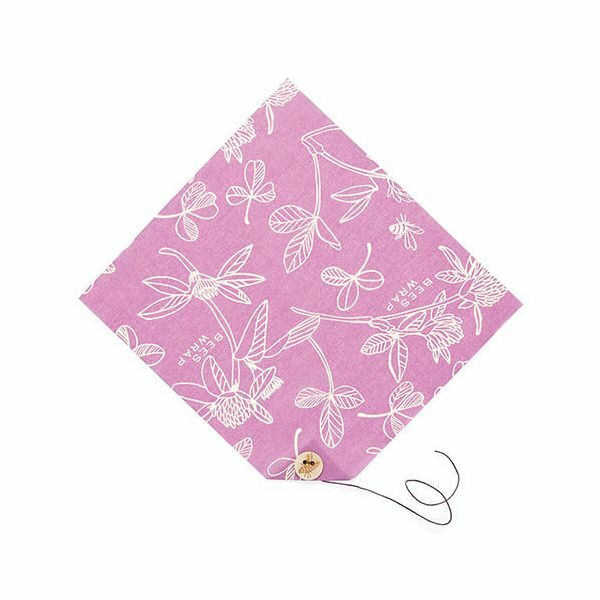 Made from sustainably harvested beeswax, organic cotton, organic jojoba oil and tree resin this sandwich wrap features an attractive clover print in Mimi's Purple. 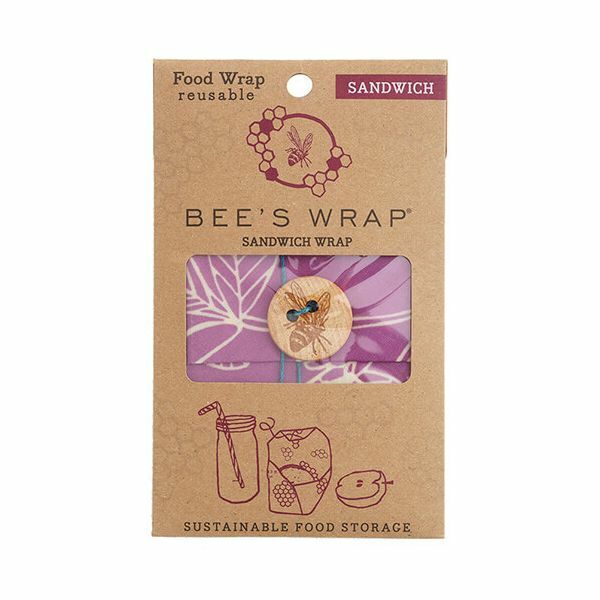 Beeswax and jojoba oil have antibacterial properties which help keep your food fresh as well as allowing the sandwich wrap to be used over and over again. Just wash with soap in cool water then hang up to dry. This Bee's Wrap should last for approximately one year if used several times a week. 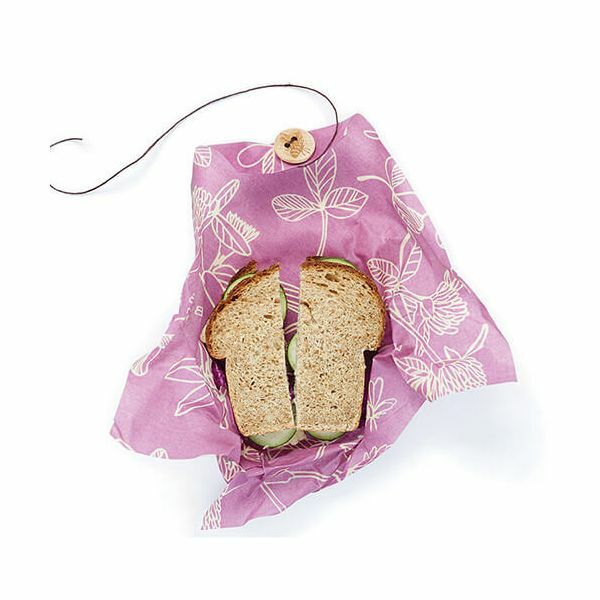 Perfect for children and adults, simply bundle up your sandwich and secure with the hemp twine and Vermont-crafted hardwood button. The Bee's Wrap also doubles as a placemat when opened out. This is a great product. Great for the environment and the cheese was still fresh after ten days. Does what it says. Great service and prompt delivery.